I finally had a free minute to get this incredible e.p. posted up to Youtube. We put this record out a couple years back, and unfortunately the band didn’t survive too long past the release shows. I feel like this kind of fell under the radar, but it’s pretty amazing. It’s been on heavy rotation on internet radio channels for some reason lately. Hopefully this record is finally getting a little well deserved traction. It’s a good one. LET ME RUN – MAD/SAD LP now available. Hey everyone, we finally got the new Let Me Run LP entitled Mad/Sad available for sale through the Devildance Store. The vinyl comes with a digital download, which includes an exclusive song only available with the vinyl version. There are two color variations Blue/Purple/White Splatter (/346) and Clear Beer w/hints of Red (/79). There is also a test pressing contest, so one random package will include a free test press of the LP. If you want to preview the album first here is a link to the Youtube. Hey everyone. 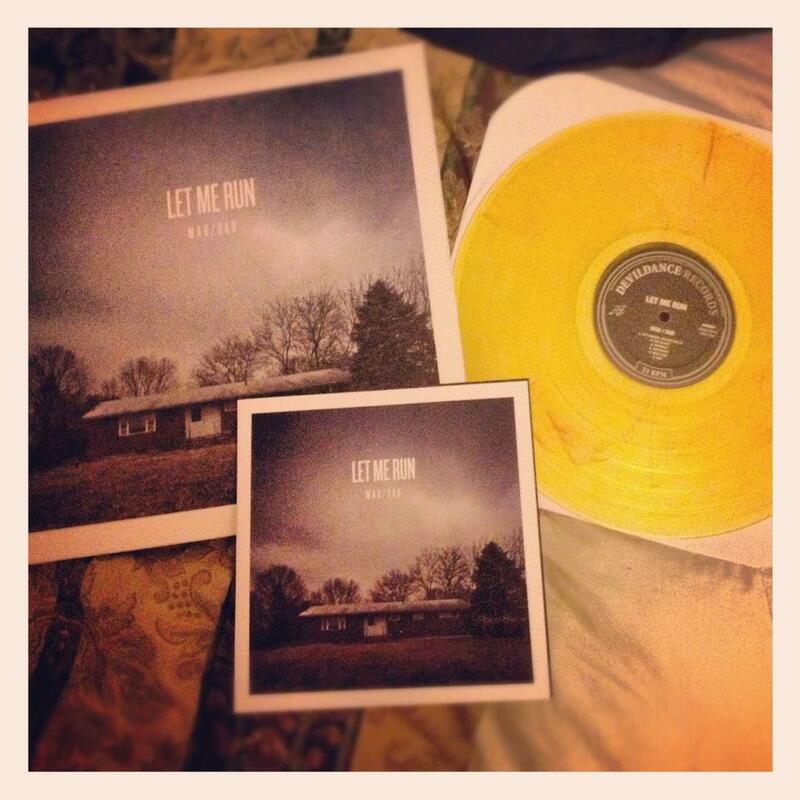 We’ve been in hiding for a bit, but are a week away from dropping the new Let Me Run LP on vinyl. In the meantime we uploaded the whole thing to youtube. If you are into it please share. More details about orders and pressing info coming soon! Stay tuned. GATES – the sun will rise and lead me home. Debut EP… free download. GATES. The making of the layout of their excellent debut E.P. GATES – the sun will rise and lead me home. download free HERE. or stream HERE. Also, this post made it into the “Devildance Stuff” category on this blog…. HMMMMMMM… Something must be brewing….. If it’s not on Youtube it didn’t happen…. Your Favorite Trainwreck / Communication Redlight split 7″ is up in our store. Hey congratulations to us for putting out a split 7″ with 2 bands that have the longest names in the history of recorded music… at least my typing muscles are getting a good workout. The Your Favorite Trainwreck / Communication Redlight split 7″ is officially available in the Devildance Records Store. there are still a handfull of the limited edition glow in the dark versions left… and by handfull i mean literally like 30 copies. If you order from our store you will get an order number. Order #230 is going to win a glow in the dark test press of the record… in terms of order numbers, we are getting pretty close i think. You can still hear a stream of the entire record HERE. If you are into it please spread the link around, post it on your blog, messageboard, or whatever the christ you have to do. 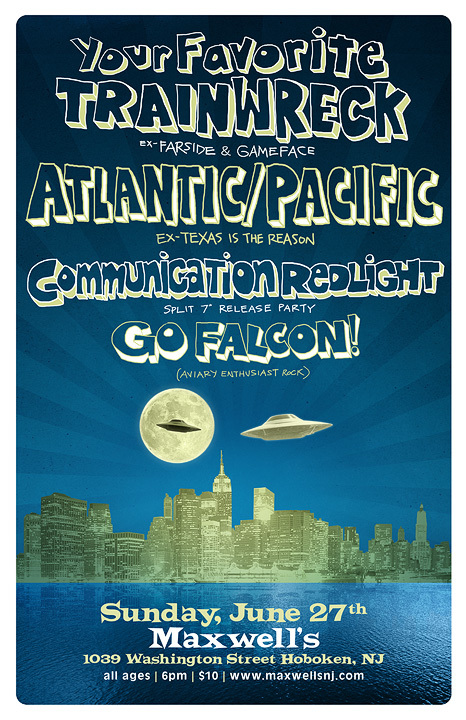 Also, do not forget about the record release shows this weekend… many beers and eargazm enducing jams will be had. You want to come? Of course you do! See the rest of the blog for more deets.